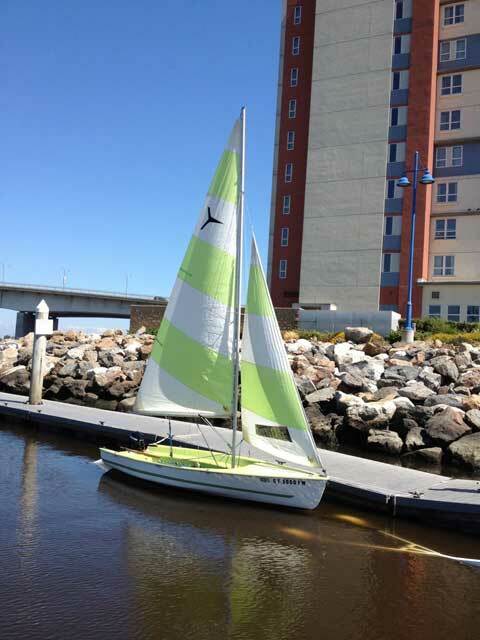 This is a Trailerable swing keel sailboat with matching Jib and main sails. great outboard gas engine, and matching boat cover plus lots of extras. Will include everything listed below. Been told by several sailboat enthusiast: "this boat Had its own Olympic racing class in the 1970's" as they recognize the "class symbol" on the sails. This boat is in sailing condition. Light weight, easy to trailer on small vehicle. Title and registration on both sailboat and trailer is clean and up to date. 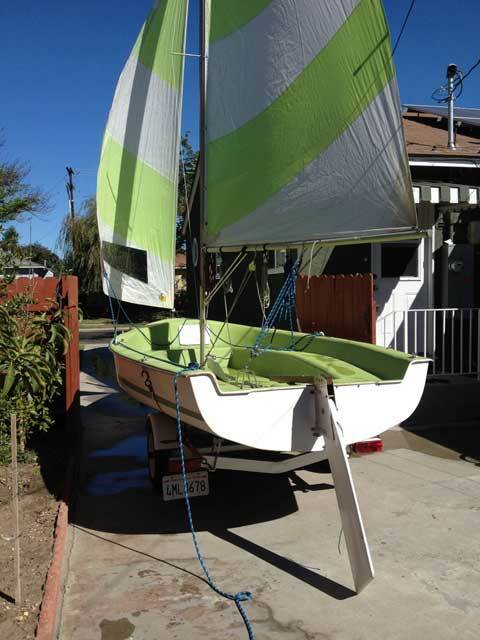 Trailer is custom made for this sailboat and was just purchase in 2012. Also included is a 2012 Mercury 2.5hp gas outboard also purchase in 2012, extremely low hours. Outboard has all paperwork, manuals, receipt of original purchase etc. Easy to rig and step mast by one person. Also great for taking the family trolling around inner harbor without mast and sails. 1975 Dart 17 by Sunsail. Matching sails both in good condition, window on jib. 2012 Great custom made trail rite trailer with tongue jack, mast rest and lock. 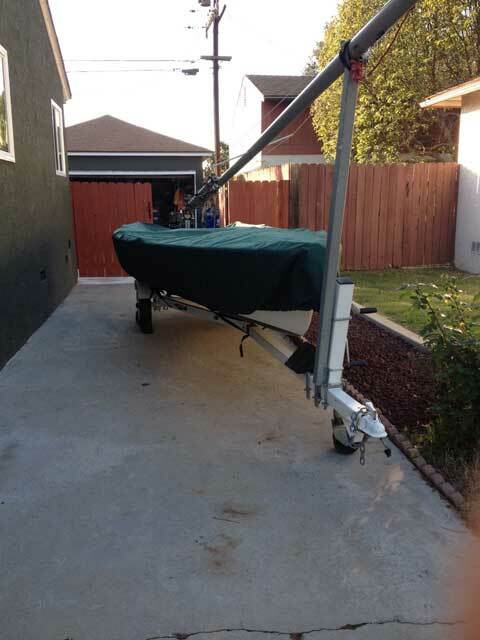 600 lb capacity Heavy duty Trailer dolly-makes moving boat & trailer a breeze. 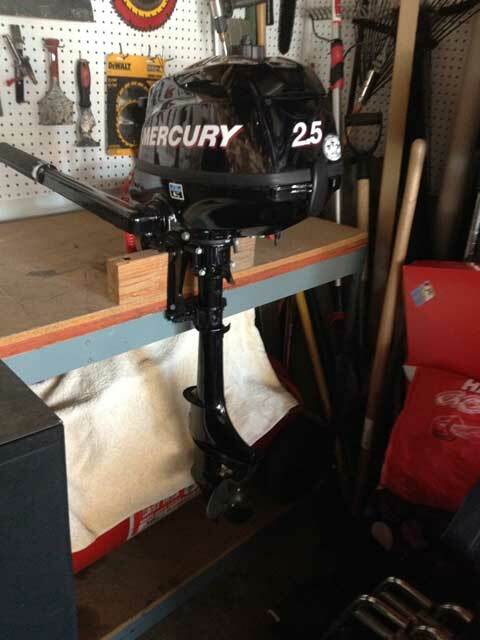 2012 Mercury 2.5hp gas outboard, internal gas tank, super light use. Matching 17ft. vortex heavy duty and weather resistant, trailerable boat cover with 10 straps and storage bag. Boom bang rigging- makes sailing and rigging a breeze. Uniden Atlantis 250 water proof Hand held VHF marine radio with battery and charger. Storage container for sails, docking lines, rigging etc. 3 Buoys to protect from impact. Storage compartment for life jackets, buoys, emergency kits, paddles etc. 4 Life jackets; 2 adults and 2 child size. 2 magnetic telescoping trailer hitch aligner balls. 2 heavy duty rubber wheel stops. Antifouling bottom paint in good condition. 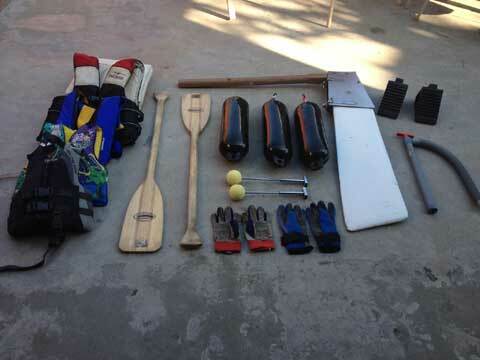 2 Emergency kits with flare guns, flares, horn, mirror and other extras. This boat has never been named, be the first! Email for questions or more detail pictures. Will consider any reasonable offers! 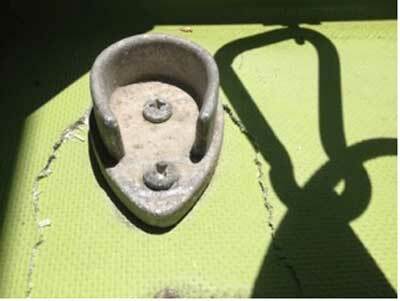 **There is a crack on the fiberglass around mast base, boat bottom fiberglass is intact. see picture. 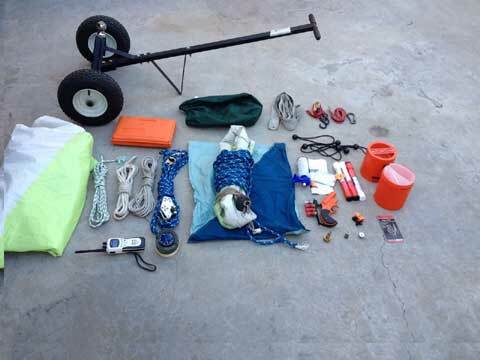 **This is a great deal: Outboard alone is about $900, Trailer about $850.